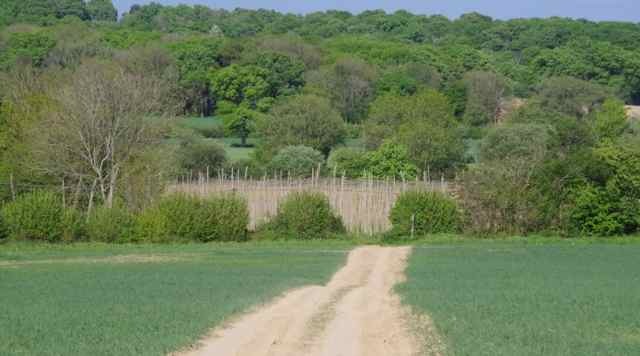 I thought those who entered the draw ‘Be a Hop Grower For a Year’ might like to have a ‘hop sett update’ and see how each of the 4 different hop setts offered as prizes in the draw are progressing, in particular the variety which you picked. All the hop setts were Grade A, excellent quality and all equally good, but each variety had quiet different roots. Generally it has been a slow start into growth for most hops this year due to the prolonged wet, cold spring, we had especially cold night temperatures. But they are nicely going up the strings now. The catalyst they had been waiting for were the warmer night’s accompanied by that good days rain we had a couple of weeks back, they were up and away immediately. 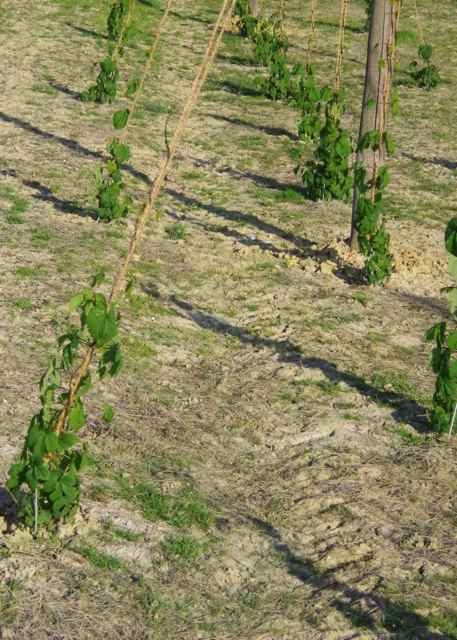 Each Northern Brewer hop sett had elegant thoroughbred style roots, these setts were the first of all the four varieties to show growth early on before the weather warmed up. They showed true ‘northern grit’ and did not seem bothered by the colder temperatures. They have always shown even growth, which is something I like to see when looking down the row. The Chinook hop setts had the thickest roots I had ever seen, I expected the plants to grow away like thugs but they coyly stayed as buds until 2 weeks ago. They have now grown fairly evenly but several bines are still too small to reach the strings. However, I am confident they will be fine. 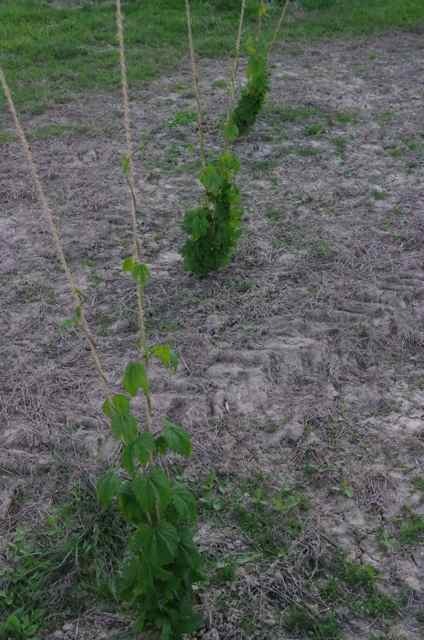 A few later varieties of established hop plants are also at this stage. I have never grown these before so I do not know whether they are normally later or simply more sensitive to cold nights. The third variety was Bullion and they are moving nicely up the strings, they were triggered quickly into growth a fortnight ago, as soon as the weather perked up. 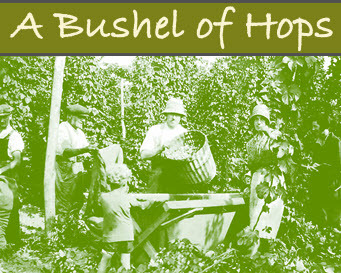 We have grown Bullion hop variety before on the family farm and they were very strong growers, which made it important to keep the bines pulled back when training. After their shy start it now appears that they haven’t changed their spots after all! Last and sadly definitely the least are the First Gold hop setts. And yes of course this is the hop variety, that Ashely as the winner of the draw, chose for his prize! So far they are uneven and bushy, they are the least well grown but I have never grown a true ‘dwarf’ variety before so I have to pop a caveat in here, maybe this is their normal growth pattern, I simply don’t know. What I do know, is that this is proving to be rather more of an unknown venture than I had expected for both Ashley and myself! I keep looking to see if there is much improvement with these First Gold hops, willing them on, but it’s rather like waiting for that proverbial kettle to boil! If they produce the 1Kg of hops for Ashley I shall be satisfied. Apart from Sod’s Law effecting the First Gold hop setts, I do find it completely fascinating how different hop varieties grow and watching their individual characteristics emerge. It’s the little things that make it so interesting e.g. 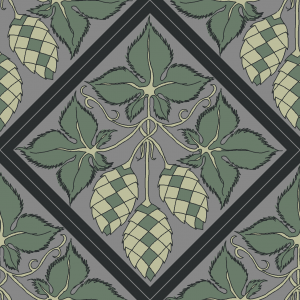 Goldings must be sweeter than other hop plants, as any passing rabbit will always choose these to nibble on. 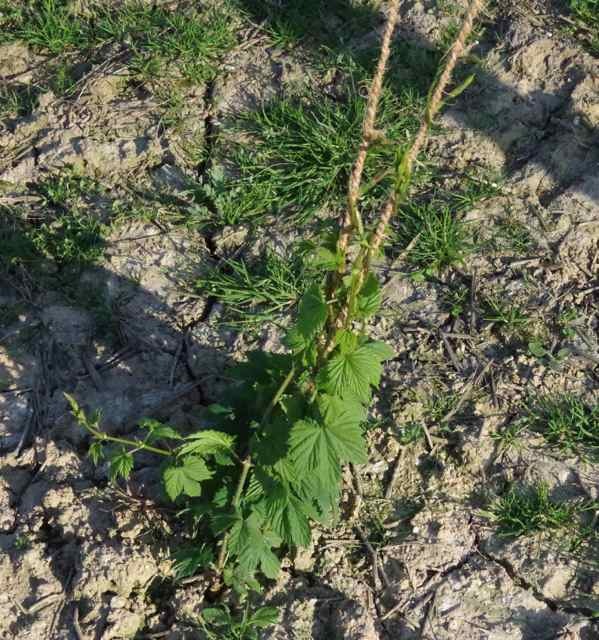 Pilgrim hops have very fine, delicate looking bine at twiddling, but come to hop picking and these same bines are as tough as wire netting, they are the steel magnolias of the hop world. 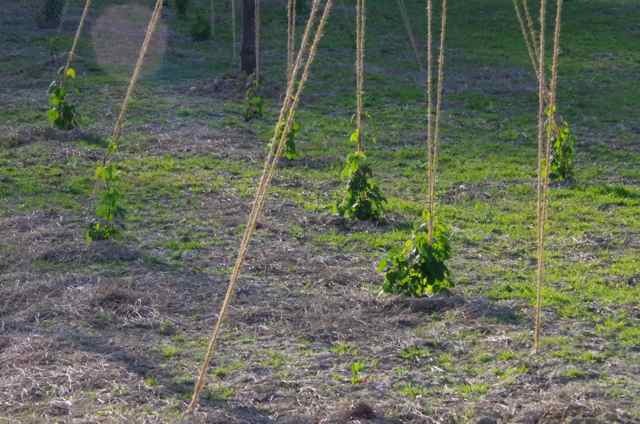 It is impossible to be bored when you grow hops. I will post a picture of each of these 4 varieties when they are fully grown and again when they come into hop.